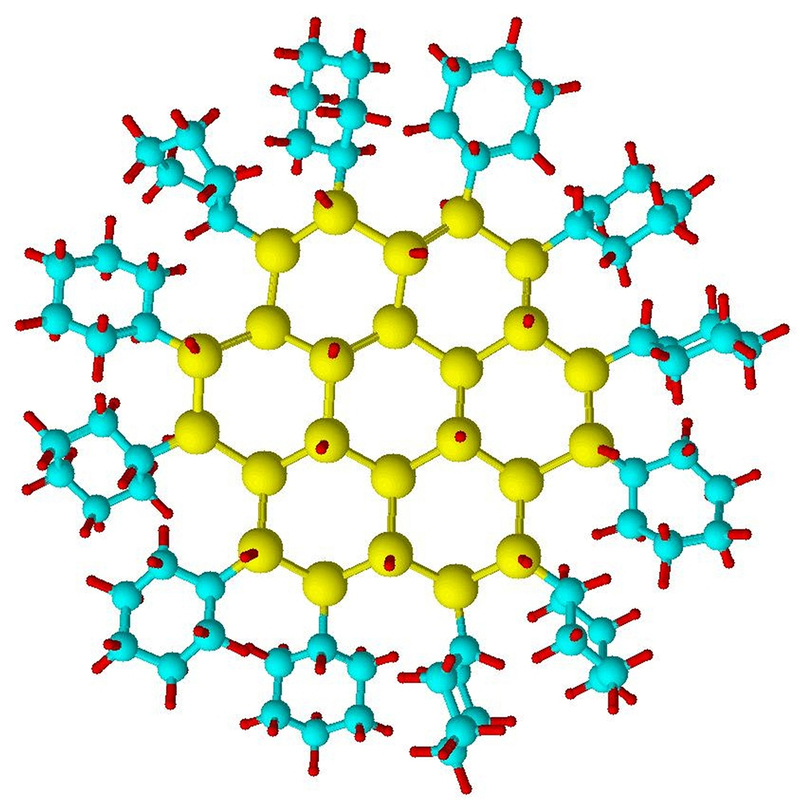 A structural model of a typical silicon nanocrystal (yellow) stabilized within an organic shell of cyclohexane (blue). 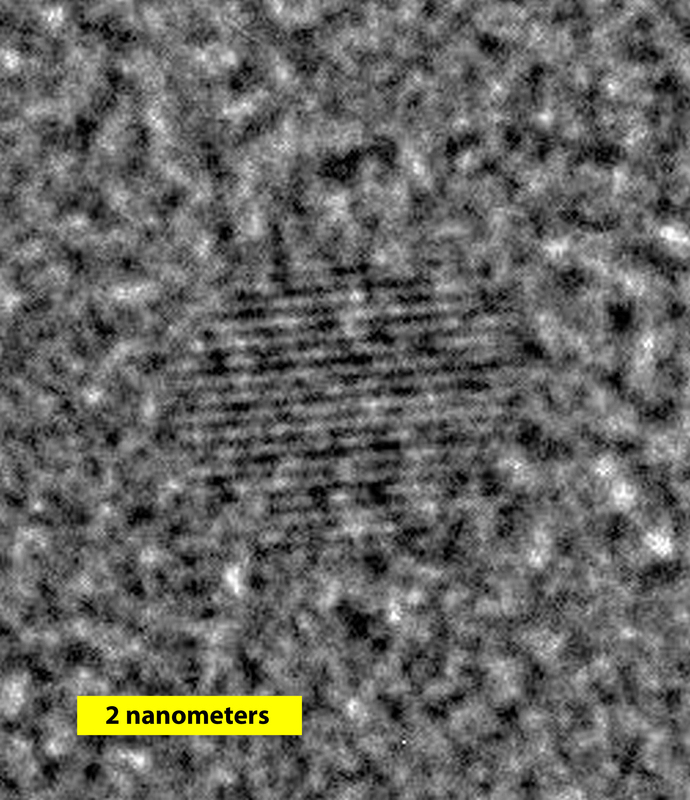 A high-resolution transmission electron microscope photograph of a single silicon nanoparticle. RM 8027 consists of five hermetically sealed ampoules containing one milliliter of silicon nanoparticles—all certified to be close to 2 nanometers in diameter—suspended in toluene. To yield the appropriate sizes for the new RM, the nanocrystals are etched from a silicon wafer, separated using ultrasound and then stabilized within an organic shell. Particle size and chemical composition are determined by dynamic light scattering, analytical centrifugation, electron microscopy and inductively coupled plasma mass spectrometry (ICP-MS), a powerful technique that can measure elements at concentrations as low as several parts per billion. RM 8027 maybe ordered from the NIST Standard Reference Materials Program by phone, (301) 975-2200; by fax, (301) 948-3730; or online at http://www.nist.gov/srm.